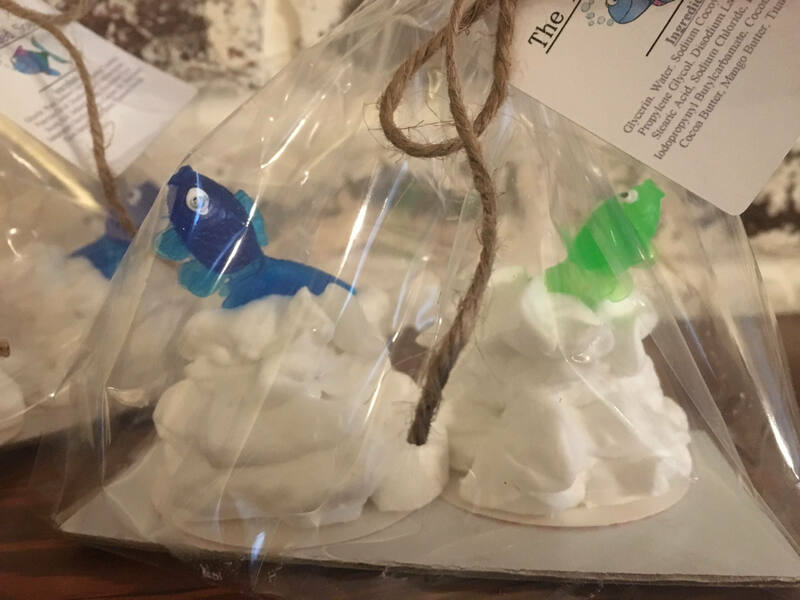 Two small mounds of whipped soap with a added fish decoration. 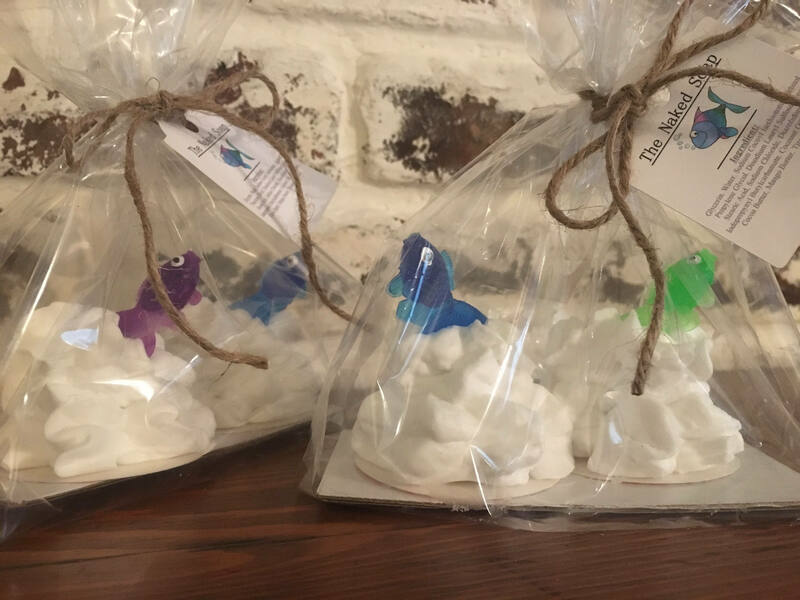 Fresh and clean scented soap. 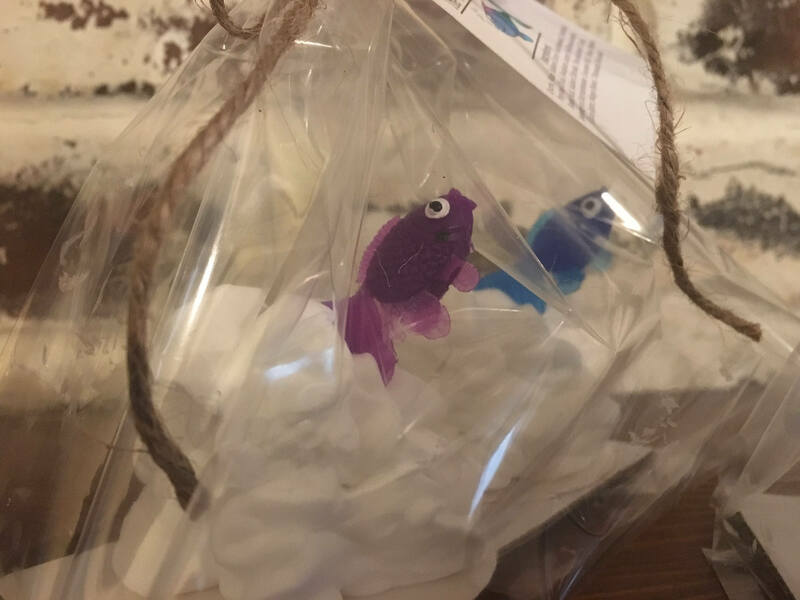 The fish is not soap it's toy.